PC not exceeding 5,000 AED. DDR4 memory slots that fully supports the CORSIAR VENGEANCE LPX memory stick. two USB 2.0 ports, an HDMI port and a DVI-D port. alongside 6GB of super-fast 192-bit GDDR5 memory for smooth, high-quality graphics. DisplayPort 1.4 ports for connection to HD computer monitors, televisions and displays. with two 90mm fans for cooling the 120W power-consuming beast. transparent blades and red LED lighting effect. a Mic jack at the top. parts and enjoy your new computer games in High Definition awesomeness. 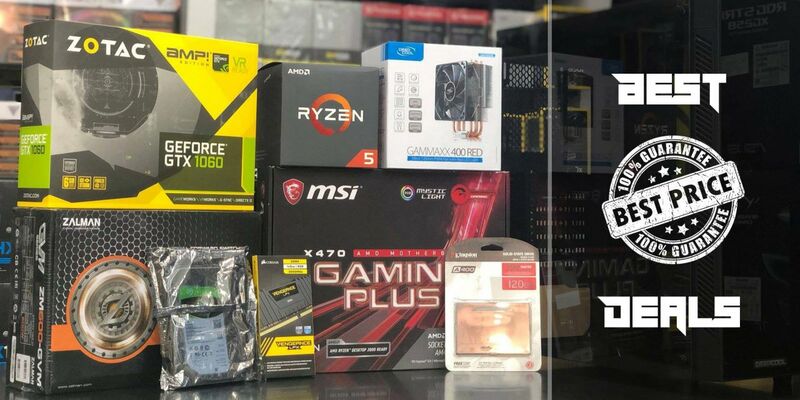 the most competitive and best prices for your computer hardware needs.